The Sony World Photography Awards 2019 shortlist has been revealed and “Wee Muckers” are in – brief category “Identity”, professional competition! To be selected the second time after 2017 in this prestigious Award is great news. 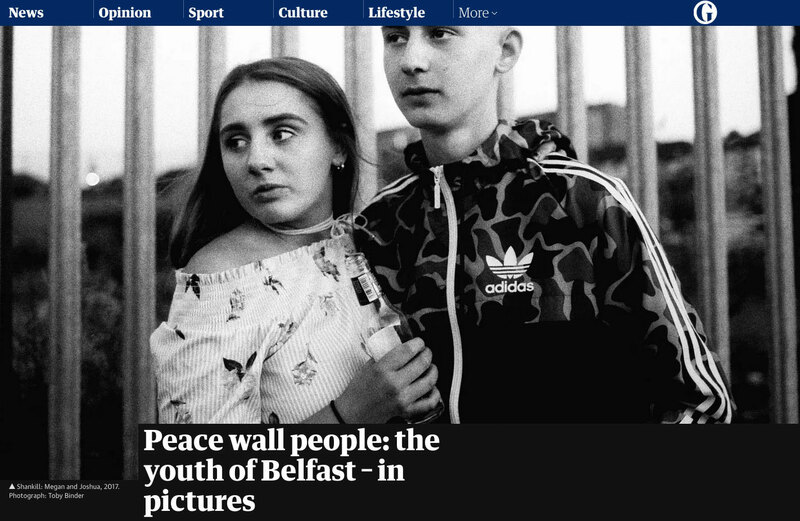 Washington Post is showing a large edit of photos from my book “Wee Muckers – Youth of Belfast” on their website. Check it out! The Guardian is showing a large edit of photos from my book “Wee Muckers – Youth of Belfast” on their website. Check it out! On Sunday, March 10th, 11pm there will be a short report about my book “Wee Muckers – Youth of Belfast” on German TV programme “ttt – titel, thesen, temperamente“, ARD. Cover story for Chrismon magazine about chances and difficulties of reconciliation in Enniskillen, Northern Ireland – 31 years after an IRA bomb attack. With a deep and balanced text by Michael Güthlein. 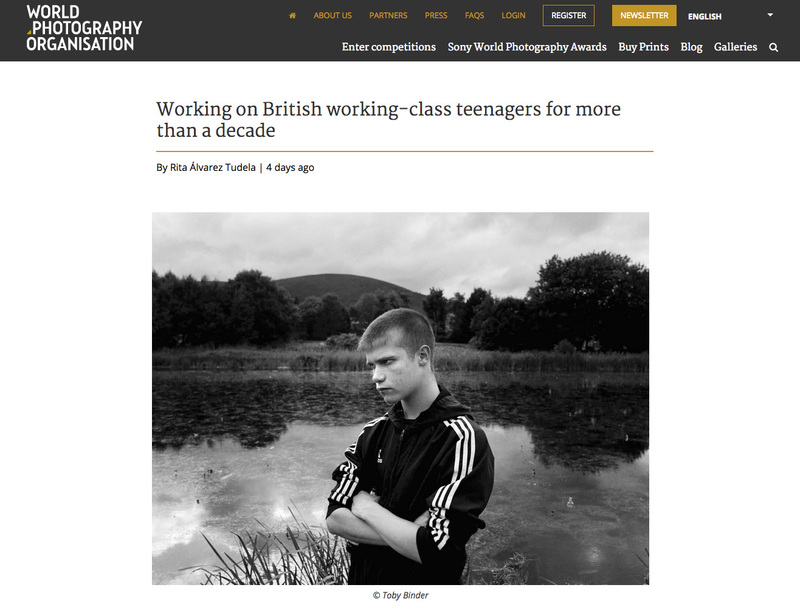 There is a nice article with a short interview about my project “Youth of Belfast” on World Photography Organisation – check it out! I’m very honoured to receive the 2nd place of the Philip-Jones-Griffiths-Award 2018. Many thanks to the PJG Foundation and the jurors. My long-term project about daily life of teenagers in Belfast, between Peace Agreement and Brexit will be published in February 2018 by Kehrer. To make this 120 page hard-cover book actually come to life, we need your support. You can order your personal copy and original prints on Kickstarter from November 5th on. Look out for news on Kickstarter, my website and facebook. Spread the word. Help to make it happen. Thank you! “If I had been born at the top of my street, behind the corrugated-iron border, I would have been British. Incredible to think. My whole idea of myself, the attachments made to a culture, heritage, religion, nationalism and politics are all an accident of birth. I was one street away from being born my ‘enemy’“. Belfast-born writer and author of the awarded novel “The Good Son” Paul McVeigh has written the introduction for the book. My photo “Strength, Respect, Loyalty” which is part of the series “Youth of Belfast” will be shown at the Bronx Documentary Center during the SDN 10th Anniversary Exhibition on October 27th, 7-10pm. Event is free and open to public, come by and join us! RSVP required. For assignments contact +49.160.92371505 or fotogloria. My reportage from inside Bolivian prison San Pedro, where inmates live together with their families, has been published at “topos magazine”. Back on assignment at “Friedensdorf International” and their Afghanistan mission. Each time touching to see these brave and proud kids! More to come soon. My photo “the kiss”, taken a while ago at West Village, NY was published on this weeks issue of “die Zeit”. This year’s shortlist nomination at the Alfred Fried Photography Award means my personal hattrick in this Award after being part of it already in 2014 and 2016! 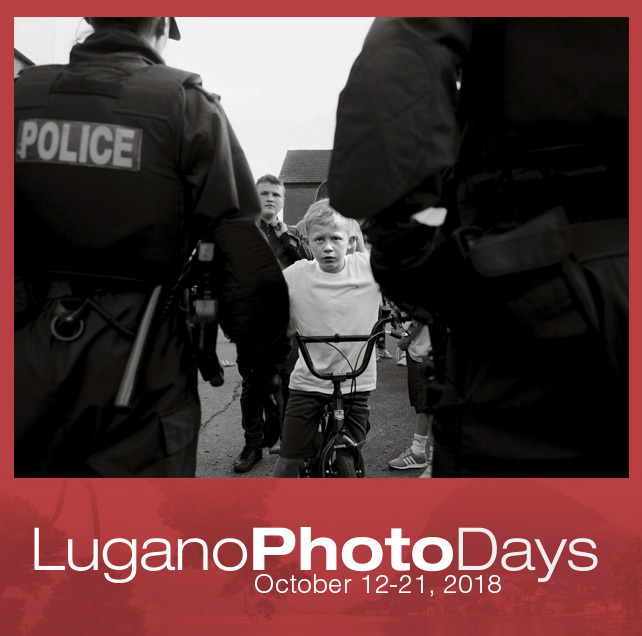 My long-term project about the Youth of Northern Ireland is among the finalists of Lugano Photo Days. I am very happy about this news that reaches me just in the moment that I am back to Belfast to keep on working on this series! 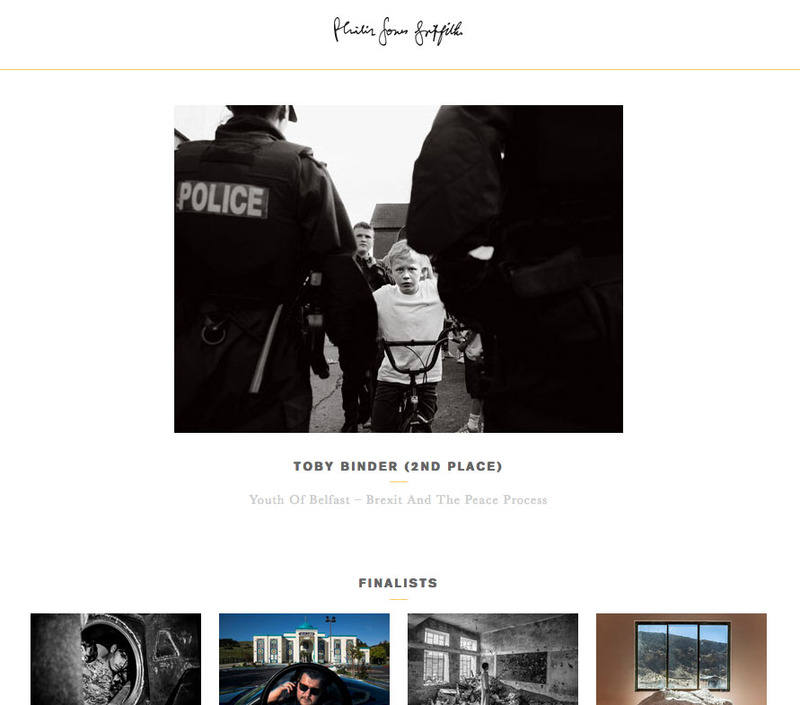 My part of “Themmuns”, our collaborative project about youth in Northern Ireland after UK’s Brexit decision is on the shortlist for the ZEISS Photography Award. 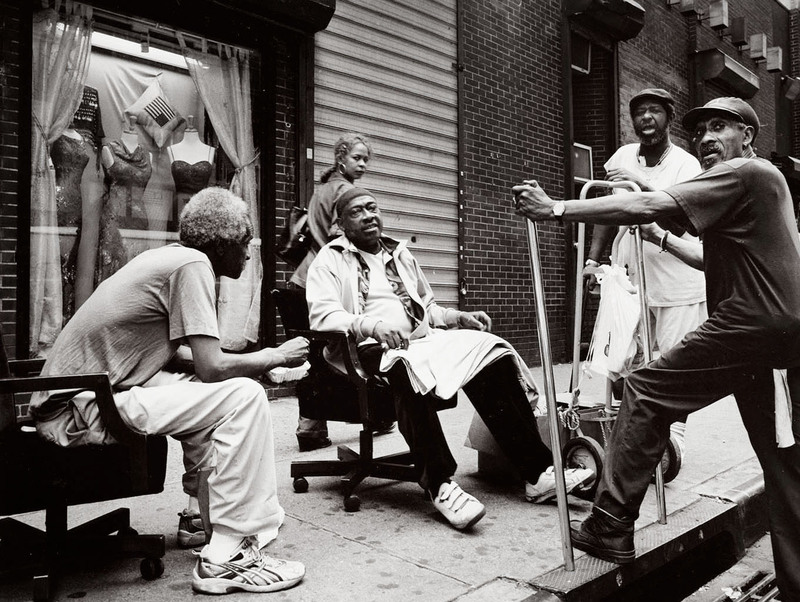 It will be shown at the Sony World Photography Awards Exhibition at Somerset House, London from April 20th – May 6th. Come by if you have the chance to! Nice publication on Russian “Bird In Flight” magazine about ten of my favourite photos, unfortunately only in Russian! 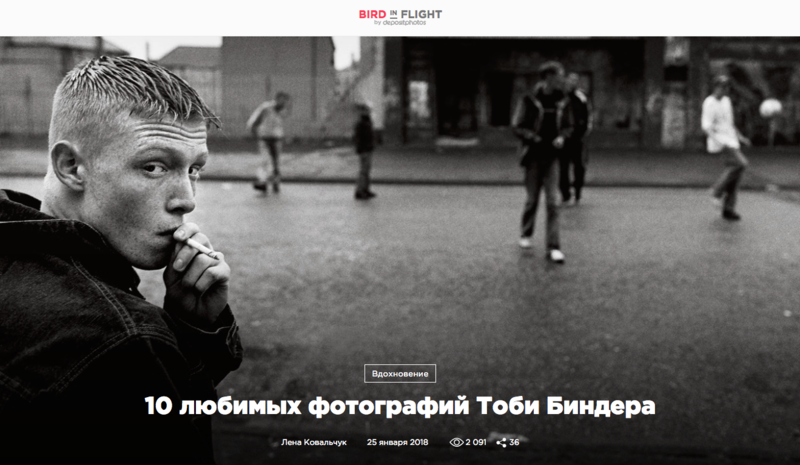 журнал “Bird in Flight” с приятным отчетом о моей работе – к сожалению, пока только на русском! 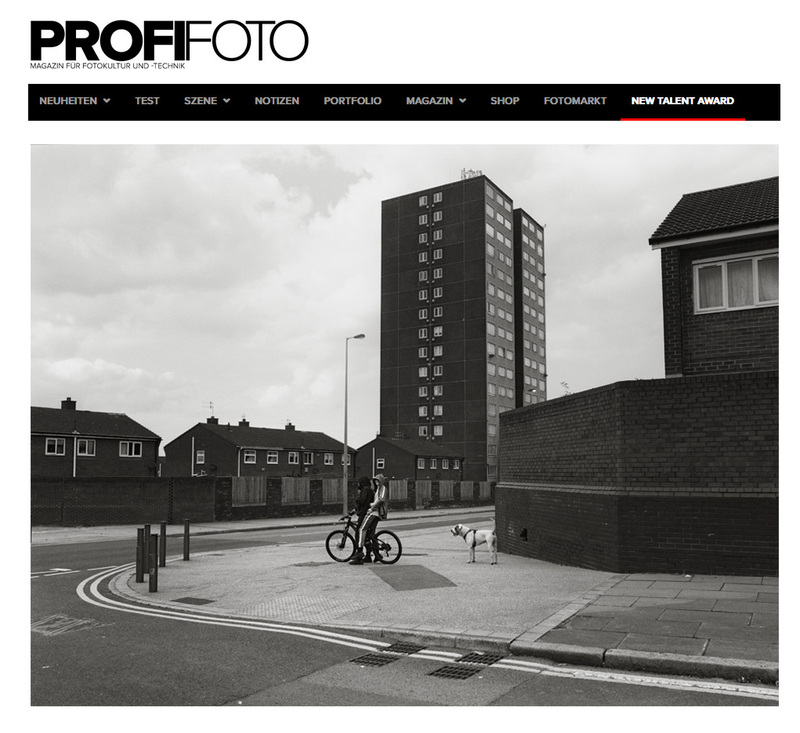 2nd Place at “Profi Foto New Talent Award” gives me the chance to continue the project “Youth of the UK”. Parts of my series “Youth of the UK” will be shown at Duesseldorf Photo Weekend on February 16th, 2018 as part of the exhibition “Neighbourhood” that is also showing work by Matt Hulse, Giya Makondo-Wills, Lucia Tollens and Adriano Vannini. Opening at WP5 Raum Rudolph, Worringer Platz, 6pm. Hope to see you there! Very happy about the honorable mention by UNICEF Photo of the Year 2017 for my work “Youth of the UK” about the daily life of young people in the United Kingdom! Continuing my series “Youth of the UK” with the current project ›Youth in Northern Ireland‹. End of August heading up to Liverpool. 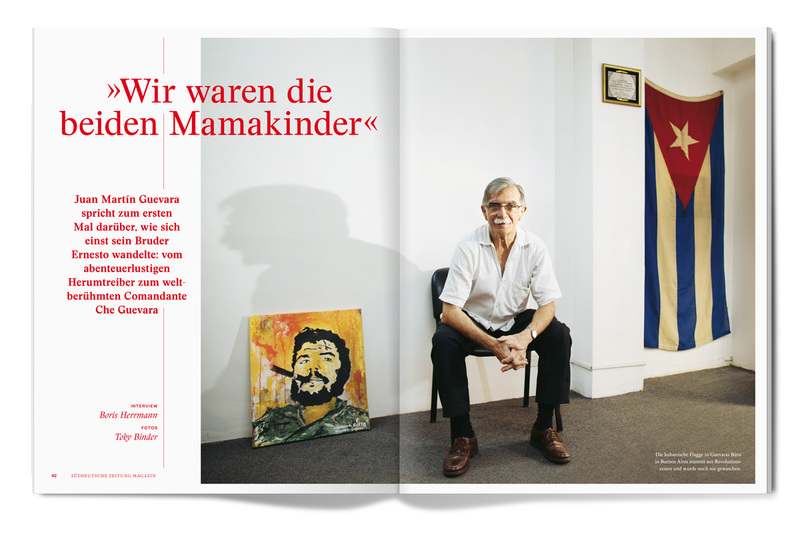 My portrait of Juan Martín Guevara has been published at Süddeutsche Zeitung Magazin. 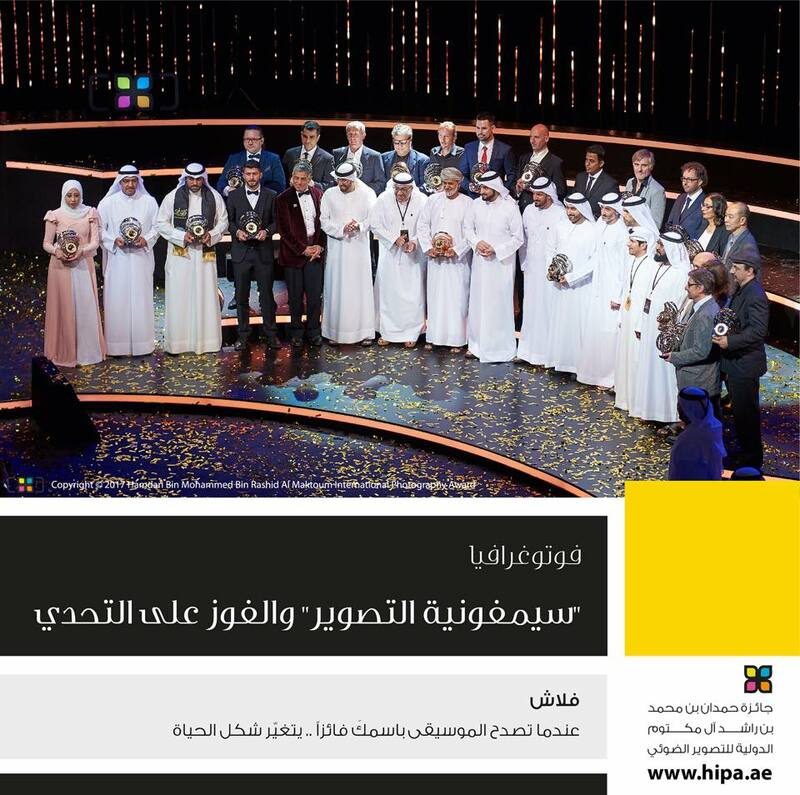 Award-ceremony of the HIPA-Awards at the opera house of Dubai. I’m very glad about the 2nd place in the general black & white category. 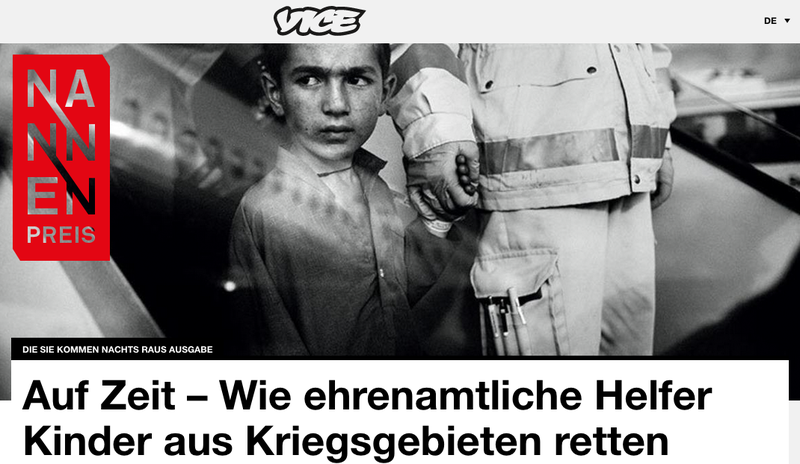 It’s a big honour to be again on the shortlist of the Nannen-Preis with my story about the work of Friedensdorf International, published at VICE. I’m very happy to be shortlisted for the Sony World Photography Awards 2017 at the “Daily Life” category with my series “Youth of the UK”. My phone here is +54.911.33430282. My work about Friedensdorf International will be shown at the CentroCentro Cibeles de Cultura y Ciudadanía de Madrid (Plaza Cibeles 1) from January 24 till March 5. Together with Jens Schwarz we just received the VG Bild-Kunst grant which will enable us to futher a collaborative project on Brexit-related social disruptions in the UK. During my stay in Myanmar you can contact me via email or at 0095.9768518983. I feel very honoured to be among the finalists of the “Luis-Valtueña”-Award by Médicos del Mundo Spain for Humanitarian Photography. With my long term project about Friedensdorf International. I will travel to Myanmar January 1st – January 20th and to Argentina January 24th – March 14th. For assignments please send an email or get in touch with my agency. Judoka Rafaela Silva made it and won the first gold medal for Brazil in the Olympics 2016! Congrats Rafaela! Well deserved! Very happy to be again on the shortlist of the Alfred-Fried-Award! Our documentary about the impact of the use of glyphosate in Argentina. On May 24th Eritrea is celebrating 25 years of independence from Ethiopia. During September thousands of refugees arrive at Munich Central station. Volunteers are providing clothes and food for the new arrivals. 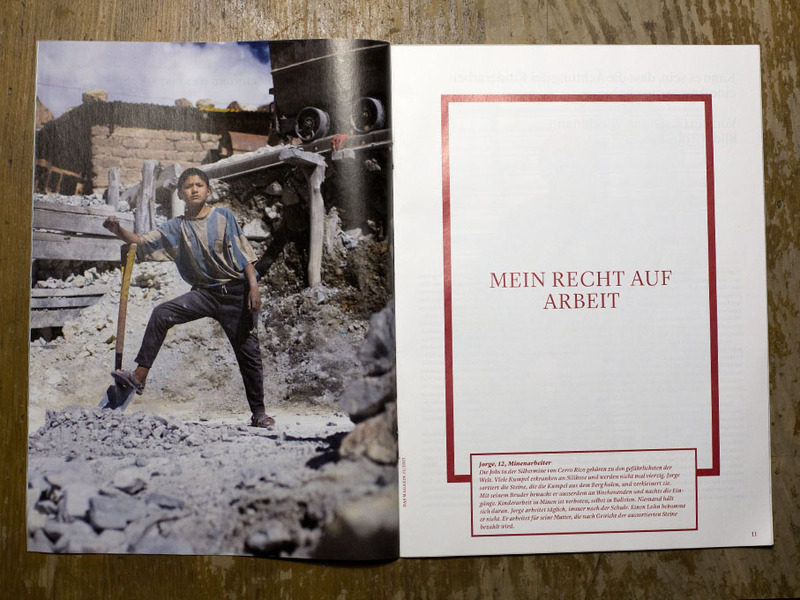 My work about conflict-free mining in Eastern Congo has been shown at the photo festival “Horizonte Zingst”. One of my photos from Bottom Hospital/Malawi in “Der Spiegel”. Travelling to one of the most beautiful landscapes I’ve ever been to. FIFA weekly magazine with parts of my series about 5-a-side pitches in Buenos Aires. Travelling to the Silver mines of Potosí for a story about child labour in Bolivia.